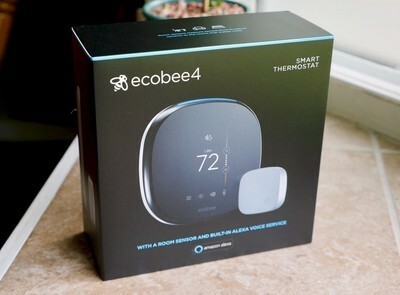 Smart thermostats are awesome and honestly, you should have one in your home. This Alexa-enabled ecobee4 is one of the best on the market currently, and this discount is only a few bucks more than a previous low. Right now you can pick one up for just $209, which is $50 lower than it normally sells for. You can control it with just your voice or through the free ecobee iOS and Android app, and the included room sensor helps keep an even temperature throughout your whole house. If you’re looking to save a few bucks while keeping your house cool this summer, this is a perfect way to do it. Be sure to grab one now, before you miss out on the savings. ← Samsung Galaxy Note 9 rumors: Release date, specs, price, and features!